Cher seems to never stop touring or releasing music. Her never-ending farewell tour and eventual residency in Las Vegas were signs that she wasn’t slowing down, which in my view was a good thing. Inspired by her role in the sequel to ‘Mamma Mia’, she set to work building a covers album of ABBA tunes appropriately titled ‘Dancing Queen’. The combination of arguably the best pop songs in history with an icon like Cher should be a match made in heaven. And at moments it is. Main single ‘SOS’ is a sparkling example of combining the two elements on offer successfully. Accompanied by a stunning music video paying homage to the visual masterpieces of ABBA’s past, it’s one of my favourite songs. Decades later, ‘SOS’ still sounds relevant and, given a modern spin, feels new. The use of auto tune here is controversial though to ABBA purists. 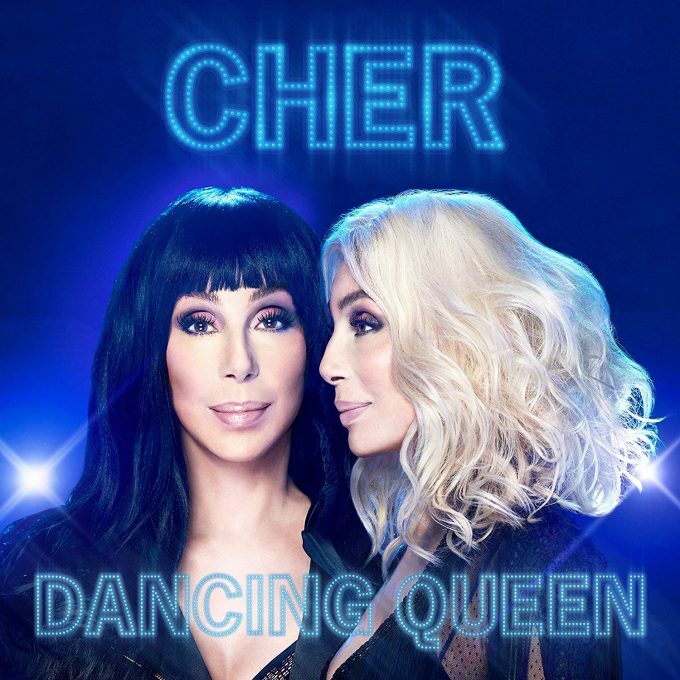 I’ll admit auto tune is modern Cher’s “thing” but if overused it feels cheap and gimmicky. It works in ‘SOS’, but I find that some of the more uptempo tunes like ‘Dancing Queen’ or ‘Waterloo’ become listless due to its overuse. The magic that sprinkled the original songs is lost, which is a shame. Sticking with ‘Waterloo’, I felt like some of the production was borrowed from UK producer Richard X. The start of it immediately reminded me of Rachel Stevens’ ‘Some Girls’. That should be a good thing, but doesn’t quite work here. That being said, the modernisation of these classic ABBA tunes hasn’t gone totally haywire. Long time collaborator Mark Taylor finds a way in the latter stages of the album to bring the magic home; ‘Fernando’ and ‘The Winner Takes it All’ both sparkle. The absolute highlight of the album, however, is her version of ‘One Of Us’ which she lets rip on. It’s sparse, but manages to feel empowering and lush all at the same time. It also highlights how strong her voice remains all these years later. Despite all the things not to like, I really like it. It feels genuine and it’s an enjoyable listen. It’s obvious she has tried to interpret these songs in her own way and I admire her for it. Few people have tackled ABBA across albums and I’m pleased that the integrity of the songs remains intact. Is ‘Dancing Queen’ perfect? No – but it’s a bit of pure disco pop which might just be needed right about now. MUST LISTEN : SOS, Chiquitita, One Of Us.